We are a small Family Owned business operating out of Fredericksburg Virginia (VA) . We operate a seasonal pond & water feature supply center and have a crew installing and maintaining Water Features in the Spotsylvania & Stafford County area..
We offer a large variety of Decorative fountains, and a complete line of pond supplies along with fish. We also offer pond & water feature design ideas design and fast & friendly services for all the products we sell and install. The pond lifestyle is a term we use to better explain the wonder outdoor experience that occurs when you live with a Virginia Water Gardens water feature. 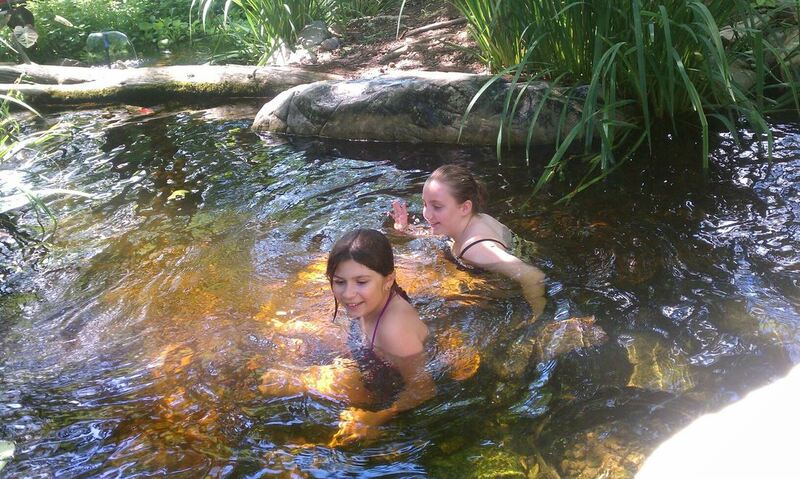 Our natural attraction to water as humans is the source of the drive to want to have a water feature installed. 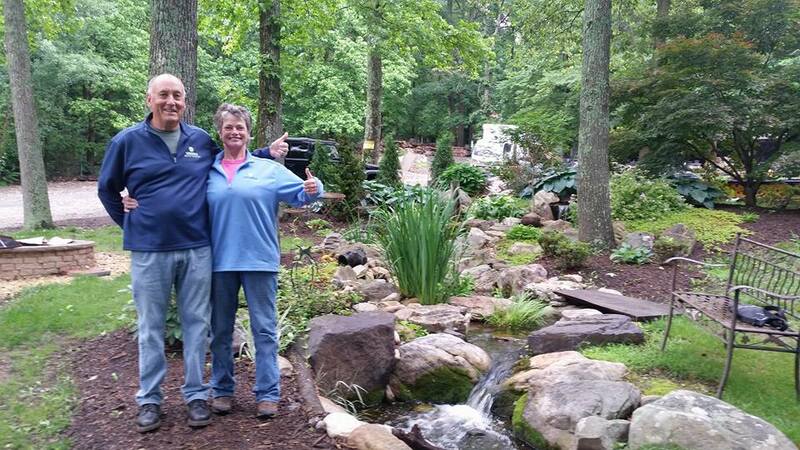 That attraction to the sights and sounds of our water features has led to many new happy clients that are living the pond lifestyle. The moment the pumps get plugged in on your new water feature, the magic starts to happen! Neighbors will ultimately migrate over to see what all the fuss is about, birds ears perk up waiting for you to go inside so they van take a cool bath in your stream. Bees gather water to take back to their hives to create honey, frogs migrate across yards to the sounds of the water.... the list goes on and on. Call Us @ 540.372.4499 Or Contact us if you don't see your town listed.